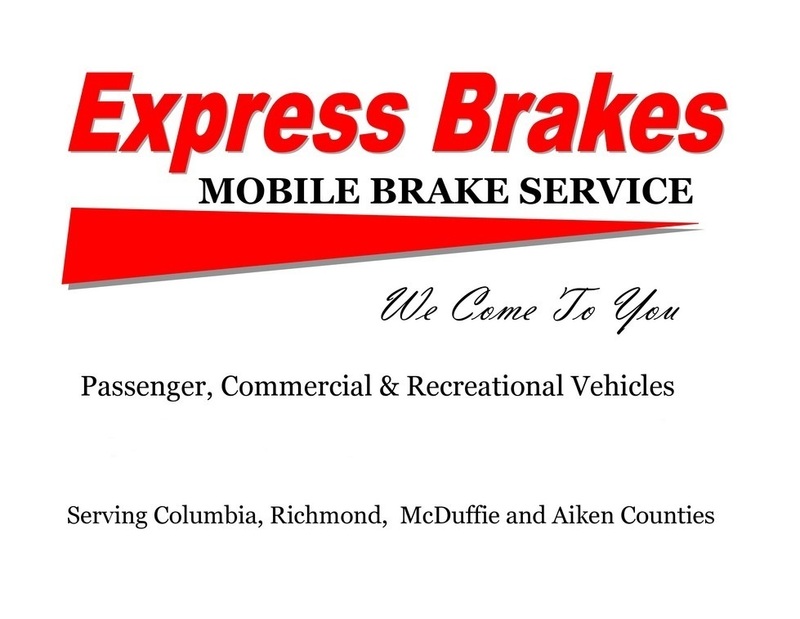 Express Brakes - Brake Service Augusta,Ga - We Come To You - "We Change Your Brakes - Not your Schedule"
We have heard a lot of horror stories about $99 brake jobs. We have also fixed more than a few of them that weren't completed properly. Express Brakes doesn't offer $99 brake jobs. However, what we do offer is an honest estimate and a fair and very competitive price. We don’t have the overhead of any neighborhood brake repair shop. We pass that savings on to our clients. When you combine our prices with the convenience of mobile service there is no better bargain than Express Brakes Mobile Brake Service! The old BAIT & SWITCH: Watch them put your car in the air and take it apart. Then give you the bad news: your brakes are shot, you need pads, rotors, and calipers all around on your three year old car. It's not quite $99, more like $800. Surprise! When you resist, here come the SCARE TACTICS: Your car isn’t safe; you shouldn’t be driving your family around in it. If they put your parts back on your car they will have to insist you have it towed to another shop. Finally, you get the COMPROMISE: The manager says they can make your car safe for $400, it's not everything they recommend but at least they will be able to sleep when you drive off into the sunset. And of course the LIFETIME warranty: By committing to replace the substandard brake parts they put on in the first place for free, it gives them another chance to try to sell you the same bill of goods and charge you for the brake labor again the next time! What a racket! We prefer to INFORM rather than talk down to our customers; especially those who don’t know a lot about how cars work. When it comes to our work there is NO COMPROMISE. We refuse to install the cheapest parts in our estimates. We use only original, equipment-equivalent parts or better to ensure that your brake job lasts at least as long as the original factory brakes. We do these things because we don’t strive to fix everyone's brakes in town once, we do it because we want to be your brake repair specialist for a LIFETIME. Thank You For Visiting Express Brakes!! !